Let’s talk tools. Getting the job done is reliant on a few key elements. One of those elements is having the right tools. GME Supply has spent years sourcing the best and most reliable tools available with our customer’s peace of mind being our top priority. We offer a range of both hand tools and power tools along with a wide range of tool tethers. Hand tools include cable & bolt tools, chisels & punches, conduit tools & fish tape, hammers, insulated tools, knives, levels, measuring tools, multi-tools, pliers, ratchets & sockets, saws, scissors & snips, screw & nut drivers, strippers, crimpers, cutters, tool sets, and wrenches. Power tools include batteries, bits, blades, corded and cordless power tools, power tool combo kits, sockets, and adapters. Tools are great! They make the life of solar industry technicians easier and help you get the job done faster. But, sometimes the tool alone doesn’t do the trick. That’s where tool accessories come in. Whether you need zip ties, rebar caps, or a dust extractor - we’ve got a wide variety of tool accessories to fit your needs. Tool tethers, also referred to as tool lanyards, are a relatively new category in the at-height industry, but they are something that can save lives and money. Tool tethers are essentially small versions of shock-absorbing lanyards. They connect to your tools and prevent tools from hitting people on the ground or the tool being ruined. They come in a variety of lengths, sizes, and colors so you can customize your gear the way that suits you. Can’t find the tool or tool tether you’re looking for? 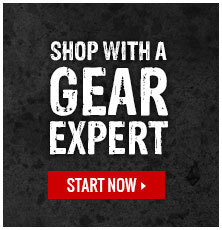 Contact one of our Gear Experts® and we will help you find the tool you need!